In telling critical GOP governors they could develop their own health care plans, Obama said, “I know that many of you have asked for flexibility” under the new federal law. “In fact, I agree with Mitt Romney, who recently said he’s proud of what he accomplished on health care in Massachusetts and supports giving states the power to determine their own health care solutions,” Obama said. In a limited sense, Romney should take the remarks as a compliment. Though Obama’s invocation of the Massachusetts health care plan is partially intended to make Obamacare seem centrist, the president also knows that it will cause grief for the former governor with the GOP rank and file. As such, it’s a sign that Romney is a potential opponent Obama wouldn’t mind seeing knocked out of contention. In a bigger sense, however, Romney is stuck with an albatross. Ask most conservatives what they consider the greatest sin of the Obama Administration and they will point to the government takeover of health care without hesitation. For any potential Republican presidential candidate, having an executive record that includes creating the program that Obama cites as his intellectual template is devastating. Translation: it may be bad for Romney that Obama took a shot at him. But it’s much worse that Romney gave him the ammunition. As the congressional standoff over budget cuts heats up in Washington D.C., both Republicans and Democrats are seemingly scrambling to reach a compromise to avoid a government shutdown. But is compromise what the American people want? According to a new Rasmussen Reports survey, 58% of likely voters “would rather have a partial shutdown of the federal government than keep its spending at current levels. “ A mere 33% would prefer Congress agree to maintain last year’s spending level in order to avoid a government shutdown. Fifty-eight percent (58%) of Democrats prefer avoiding a shutdown by going with current spending levels. But 80% of Republicans — and 59% of voters not affiliated with either major party — think a shutdown is a better option until the two sides can agree on spending cuts. Read the complete top-line survey results here. With a Rice University demographic expert projecting that only 20 percent of the state’s public school enrollment being Anglo by 2040, the makeup of the Lone Star State’s population will be decidedly more Hispanic. Welcome to a new America. If you’re looking for proof that the situation in Libya is the worst in the North Africa, consider these statistics from United Nations Secretary General Ban Ki-moon: 22,000 Libyans have fled across the border into Tunisia, and another 15,000 have crossed over into Egypt. One of the appeals of American federalism is the ability of people to ‘vote with their feet’ when they don’t like the policies of a particular state. In Libya, citizens are sending unmistakable signals that Muammar Gaddafi’s crackdown on dissent is a terror worth opposing. Like emaciated jackals hungry for fresh meat MSNBC’s political staff announced today that the GOP 2012 campaign is now underway. The reason? Mike Huckabee (R-AR) made the rather unsurprising link between Massachusetts’ individual mandate law passed under then-Governor Mitt Romney (R-MA) and the almost identical requirement in ObamaCare. Mitt’s “RomneyCare” problem has been so well documented it’s not worth a verifying hyperlink. That said, the fact that Huckabee’s identifying of the main obstacle in Romney’s path to the GOP nomination is being treated like a campaign salvo is too much; especially since neither man has formally announced a candidacy. At the earliest, it looks like Newt Gingrich might be the first to take the plunge sometime next month. For now, MSNBC’s announcement is just the latest attempt to goad the pack of likely candidates into justifying a political reporter’s salary. If Democrats in Washington make the same miscalculation as Democrats in Wisconsin, they will suffer brutally at the next election. 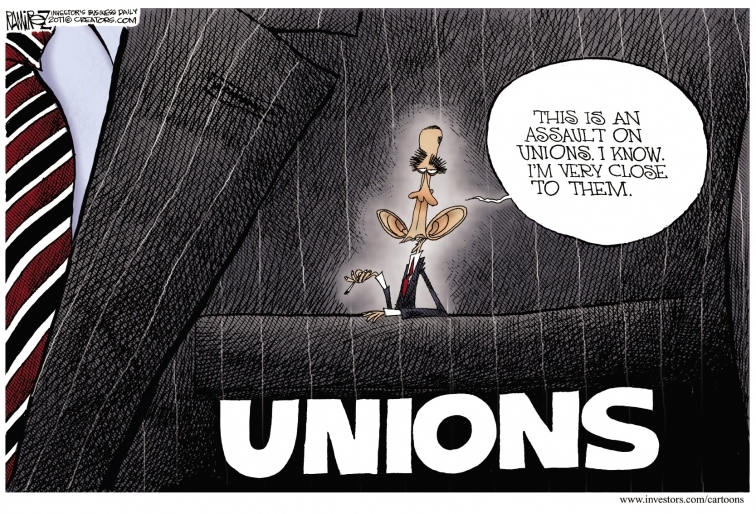 Shutting down the government in favor of public employee unions or unsustainable federal spending is a fool’s strategy. With President Barack Obama and party leaders like Senator Chuck Schumer (D-NY) daring House Republicans to stand firm on budget cuts, expect to see thousands of pro-shutdown protestors flood Washington if government buildings go dark. If dormant long enough, perhaps some of those buildings – and the agencies that house them – will never be revived. The debt and spending issues are more important now than in 1995. If Democrats fail to realize that, they may help hasten a reduction in government overall. In a characteristically well written piece Matt Bai identifies several political skills wielded by New Jersey’s dynamic governor. Among them, Chris Christie’s ability to humanize mundane issues like pension policy stand out. The theme of the week was pension-and-benefits reform, and in his introductory remarks, Christie explained the inefficiency in the state’s health care costs not by wielding a stack of damning statistics, as some politicians might, but by relating a story. Bai goes on to report seeing Christie’s mixed race audience nodding in agreement that public employees should be required to pay more for the better plan. As Christie says, this isn’t rocket science, just common sense. His ability to relate hard truths in understandable terms is a unique gift shared by the likes of Bill Clinton, Ronald Reagan, JFK, and FDR. Not bad company for a guy from New Jersey. Ellis: John Bolton for Vice President? In this week’s Freedom Minute, CFIF’s Renee Giachino comments on the budget clash in Wisconsin between taxpayers and public-sector unions, noting that the standoff and issues surrounding it have the potential to completely change the shape of American politics. Time magazine reports that scandal-plagued Italian Prime Minister Silvio Berlusconi can add another rotten olive wreath to his spoils: first friend of Libyan dictator Muammar Gaddafi. Berlusconi’s acts of fealty include not only a bow to the strongman, but also kissing his hand. Not even President Barack Obama has gone that far (yet). Maybe Wisconsin Democrats need Ragin’ Cajun Jim Carville to explain the concept that elections have consequences. It wouldn’t be the first time Carville unleashed on members of his own party. The longer Wisconsin Senate Democrats delay action on legislative business, the more authority they lose to negotiate on any other issue this session. They also shouldn’t forget the lesson they’re teaching majority Republicans whenever they do return: lock the doors and monitor the whereabouts of every quorum-busting Democrat to make sure they don’t pull this stunt again. 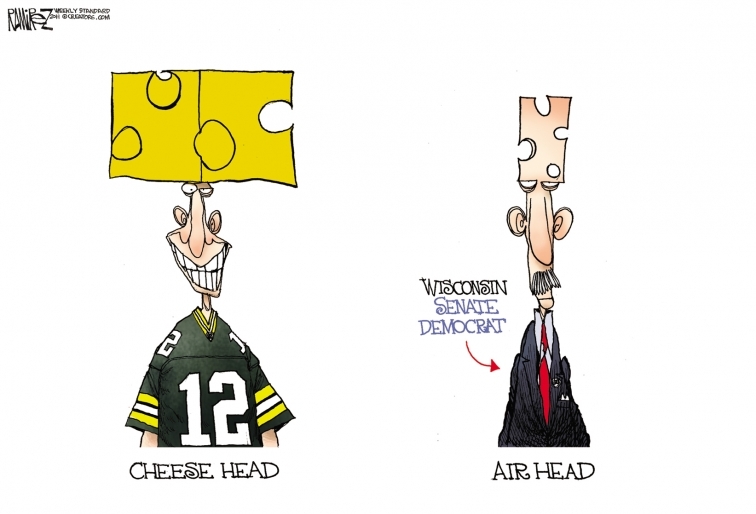 Is that really the precedent Wisconsin Democrats want to establish? Under the plan detailed by Republican Gov. Scott Walker, legislators who miss two consecutive sessions will have their direct deposits stopped. But the checks won’t be sitting in a basket in some random government office. They’ll be locked “in their desk on the floor of the state Senate,” Walker said. Gettysburg Address Now Illegal in D.C.
Fast fact: It is illegal to deliver the Gettysburg Address on the steps of the Lincoln Memorial without permission from the U.S. National Park Service. On President’s Day — standing where the Rev. Martin Luther King Jr. delivered his “I Have a Dream Speech” — Phillip Howell, 25, recited Lincoln’s famous address and was quickly stopped by a Park Police officer. He told Howell that he could not give speeches on the steps of the memorial without a permit. Tags: Abraham Lincoln, Chris Moody, Daily Caller, First Amendment, Free Speech, Gettysburg Address, Lincoln Memorial, Park Police, Presidents' Day, Washington D.C.
Russia under prime minister Vladimir Putin is a sham democracy, Mikhail Gorbachev has said in his harshest criticism yet of the ruling regime. “We have everything – a parliament, courts, a president, a prime minister and so on. But it’s more of an imitation,” the last president of the Soviet Union said. Speaking at a press conference ahead of his 80th birthday, Gorbachev criticised Putin for manipulating elections. He called Putin’s statements a sign of “incredible conceit”. Asked how he thought the regime approached human rights, Gorbachev said: “There’s a problem there. It’s a sign of the state of our democracy.” He was echoing statements made by Navi Pillay, the UN high commissioner for human rights, during a visit to Russia last week. Gorbachev said United Russia, the ruling party founded with the sole goal of supporting Putin’s leadership, was a throwback. The aging Gorbachev won’t be the figure to lead the political opposition to Putin. But his authority can provide a beacon of hope where there was none before. Bravo, comrade. … what’s happening in Wisconsin isn’t about the state budget, despite Mr. Walker’s pretense that he’s just trying to be fiscally responsible. It is, instead, about power. 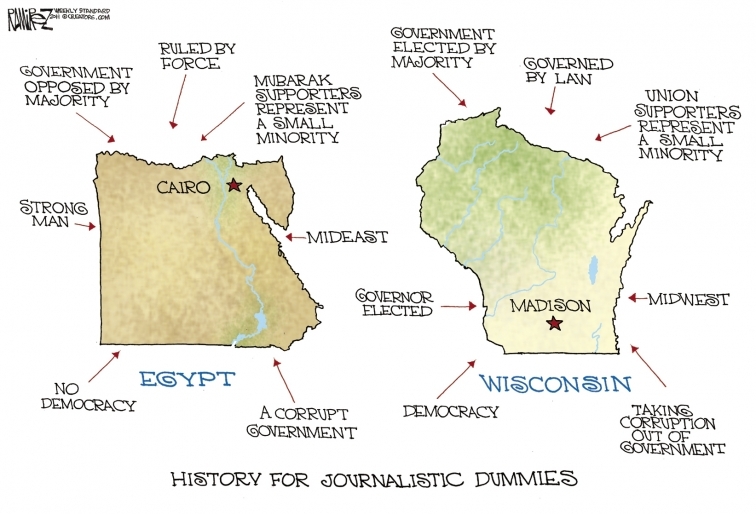 What Mr. Walker and his backers are trying to do is to make Wisconsin — and eventually, America — less of a functioning democracy and more of a third-world-style oligarchy. If this is what makes it to print, one wonders what function it is exactly that Dr. Krugman’s ‘editor’ serves. The Grey Lady is on life support. Behind the scenes, meanwhile, Emanuel employs the most cutting-edge techniques. A focus on social networking and demographically targeted e-mails is part of “using the Internet in ways not previously used in a municipal campaign,” says Chicago-based Democratic consultant Eric Adelstein. Emanuel is harnessing Google Analytics to micro-target voters based on their Web surfing. “So you look for ‘Chicago Bears’ and there may be an Emanuel message that might interest you, a sports fan between the ages of 40 and 60,” Adelstein says.